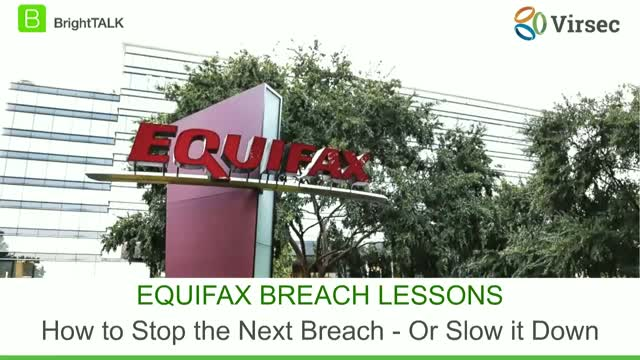 What are the lessons learned from the recent slate of mega-breaches (Equifax, CIA, NSA)? How can we apply these lessons toward educating our workforce and strengthening our organizations' security posture? The vast majority of security solutions are focused on an out-of-date model of chasing known malware that is already weaponized – ready to do damage. Today’s security landscape has shifted away from this, with the majority of modern attacks bypassing conventional security systems by delivering benign-looking data. These benign components subvert interpreters and assemble to create dangerous weaponized code that can derail applications, expose sensitive data, or damage critical infrastructure. Join renowned security experts Troels Oerting, CIO of the World Economic Forum for an interactive discussion on new strategies to preempt this global crisis. Troels Oerting, Head of the World Economic Forum Centre for Cybersecurity discussed a new class of cyber attack that exploits fileless and memory-based techniques. These attacks bypass conventional security and only weaponize as programs execute in runtime. Most security solutions are locked into an out-of-date mindset, looking for known malware that has been constructed by hackers and delivered already weaponized – ready to do damage. But today’s advanced hacks are increasingly bypassing conventional security systems by delivering benign-looking data that only gets weaponized when applications are live, in runtime memory. By subverting interpreters and manipulating legitimate processes and memory, these attacks can assemble benign components to create dangerous weaponized code that can derail applications, expose sensitive data, or damage critical infrastructure. Paul Forney, Chief Security Architect for Schneider Electric and Satya Gupta, CTO of Virsec delivered a joint presentation at the ICS Singapore Conference in April 2018, discussing the explosion of fileless and memory-based attacks, and strategies for protecting critical infrastructure. While many people focus on detecting the next cyber threat to wreak havoc, more attention should be paid to detecting precursors to attacks that may already be within your network. In many major attacks, malware and vulnerabilities dwell within networks for months or years before the full exploit is launched. Machine Learning is being applied to detect new threats in the wild, but these techniques can be equally effective when applied internally, to map acceptable application behavior and react quickly if there is a real attack. Join noted security experts for an interactive discussion on strategies to protect your organization from these lurking threats. The past year has seen a sharp increase in cyberattacks targeting critical infrastructure such as power plants, water treatment facilities, oil & gas refineries and elsewhere. High-impact attacks such as StuxNet, HaveX, Black Energy, Industroyer, Triton and others have used advanced hacking techniques and memory exploits to hijack control, cause disruption, shut down critical systems or worse. These technique bypass conventional network security tools and have been considered “indefensible” by many security experts. Hear ICS and security experts discuss how to defend against advanced attacks and protect infrastructure from unknown threats. The multitude of recent cyberattacks have a number of things in common: they are sophisticated, multi-pronged, use fileless techniques, and target applications at in process memory – largely invisible to conventional security products. Attacks including WannaCry, Petya, NotPetya, SystemD, Industroyer, and Apache Struts all leveraged memory-based attacks to infiltrate, pivot, and hijack valuable data. What used to be viewed as arcane, theoretical attacks have now become easily accessible through the Shadow Brokers leak of advanced memory corruption tool kits. Ray DeMeo, COO of Virsec discusses a new model for security using deterministic, memory-based protection to stop attacks in real-time while eliminating false positives. Atiq Raza, CEO of Virsec and tech industry luminary, discusses a unique approach to protecting against today's advanced fileless and memory attacks in real-time. Massive data breaches are a dime a dozen these days, affecting more people than before and exposing the highly personal information of millions of consumers. Uber is the latest company to disclose a major breach, joining Equifax from a few months ago, in which the names, addresses and other personal data got stolen by hackers. This animated overview provides a quick introduction to Virsec's unique Trusted Execution technology, delivering deterministic protection against today's most advanced memory and fileless attacks. Virsec delivers real-time protection from today's most dangerous cyber threats including memory corruption, fileless and zero-day attacks. Learn about the latest threats, and hear analysis and recommendations from security experts.